As NASA’s new science director, Thomas Zurbuchen announced the discovery of seven Earth-sized planets around the nearby star TRAPPIST-1 at a live-streamed press conference that was followed worldwide at the end of February. A month earlier, the Swiss born physicist had visited the University of Bern where he had studied and gained his PhD. «I loved reconnecting with friends and also making new ones. It is always great to go back to one’s academic home,» he summarized. NASA science director Thomas Zurbuchen during his lecture at the University of Bern. © UniBe/Manu Friedrich. 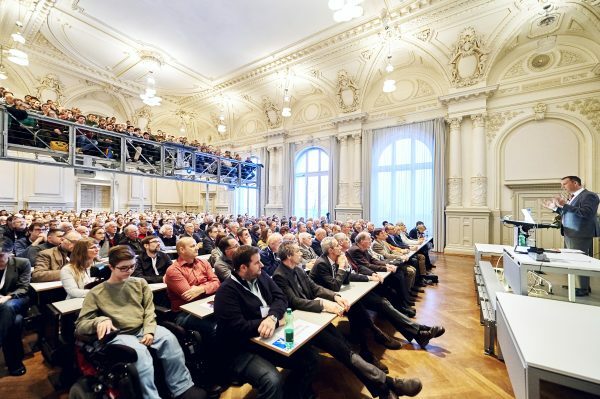 «Great audience, even the mayor from my mountain village showed up for it!» Thomas Zurbuchen twittered after his talk at the University of Bern. Heiligenschwendi, a village at 1100 m altitude near Thun in the canton of Bern, is the place where the Associate Administrator for the Science Mission Directorate of NASA grew up. He was the first in his family to tackle a university degree. The highest NASA scientist credits Switzerland’s successful school system with the fact that a child from a mountain village interested in science was able to gain a PhD in physics and carve out such a good career. “Switzerland should be proud of it,” he said, “And the University of Bern gave me a lot too.” During the talk at his Alma Mater, he praised the educational lectures, but also appreciated that he was sent elsewhere to summer schools and had a budget of 50,000 Swiss francs for measuring instruments even back as a degree candidate. Today, NASA’s 49-year old science director is in charge of an annual budget of five billion Dollars and distributes research funds to 10,000 scientists. Protecting and improving life on earth, searching for life elsewhere and expanding our knowledge: These are NASA’s key scientific themes, reaching from weather forecasting and helping to bring forest fires under control to providing confirmation of Einstein’s general theory of relativity. 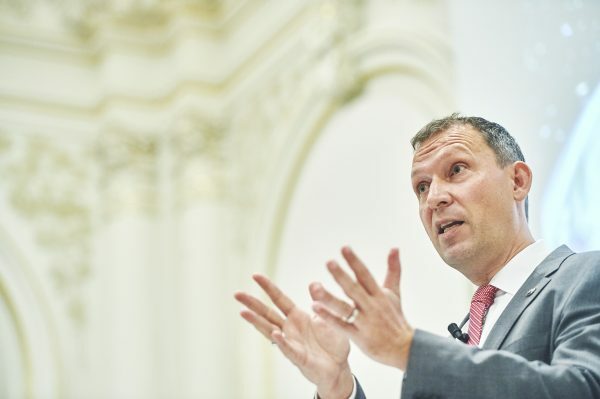 «Basic research is incredibly important,» stated Zurbuchen and emphasized that he presented this message not only to an academic audience but also to politicians. Among his top science priority is answering the question «are we alone». With the detection of the TRAPPIST-1 system, he is convinced that a remarkable step forward towards answering that question was made. «The discovery gives us a hint that finding a second Earth is not just a matter of if…but when,» he said at the press conference at NASA Headquaters in Washington.